Orion air conditioning and refrigeration ltd complete the installation of a Fujitsu air conditioning heat-pump heating system for the new office building of The Friendly Society Bedford, Bedfordshire. The office building had around 400 meters/squared of area that uses a gas radiator heating systems. In the summer the building would get hot due to its south facing position and the sun shining through the windows which had no form of blinds. 4 x Fujitsu Air Conditioning AUYG30LRLE Cassette Air conditioning (8.5 kW / 30000 Btu) Heat pump Inverter 240V~50hZ. 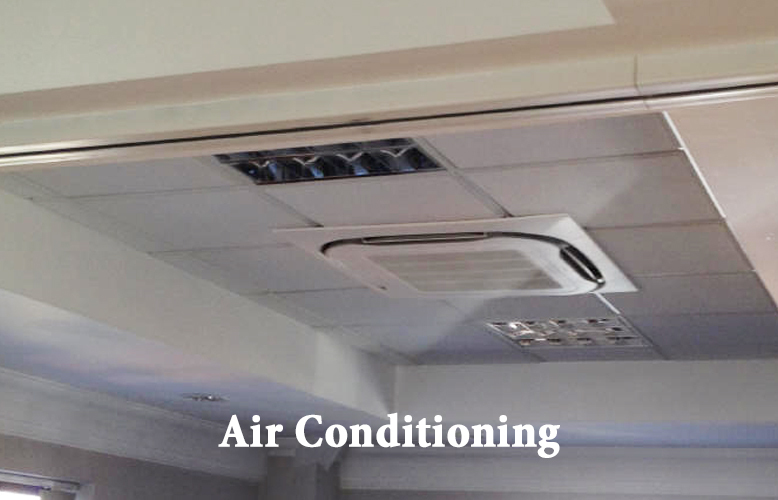 These units Efficient distribution of air: In order to be able to adapt to the shape of the room to be conditioned, the Fujitsu cassette units are able to configure the air impulsion in two, three or four different directions and thus achieve uniform air conditioning. The "Air flow" direction and "auto swing" can make a sweep using its deflector slats to air-condition the premises more quickly. The direction of the sweep as well as the auto swing function can be selected by using the remote control. All models have a weekly programming control that allows on and off programming up to twice a day. 1 x Fujistu Air conditioning ARYG45LMLE Concealed Duct Heat Pump Inverter (12.5kW / 45000Btu) 240V~50hZ. 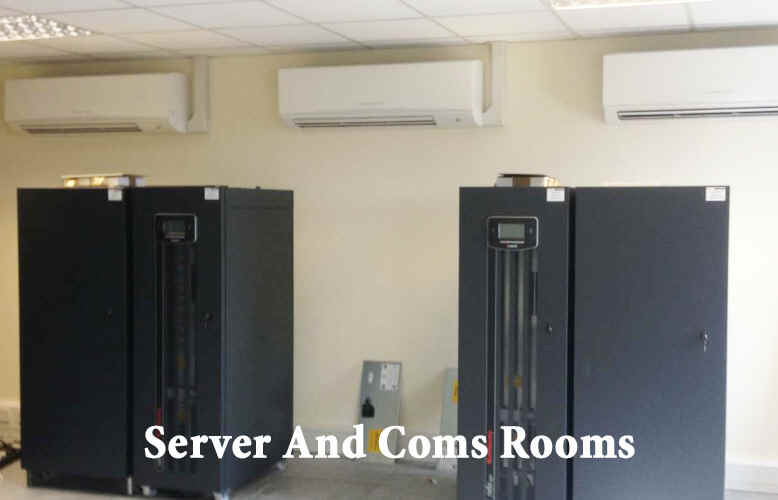 These units arePerfect for areas where you want concealed air conditioning serving multiple areas. Units can be seated above a ceiling for hidden temperature control. DC inverter swing compressor is very quiet in operation. The result is a reduced sized DC compressor which, in addition to providing greater performance, allows the appliance to heat up efficiently even when the outside temperature is very low. The outdoor units are neat, sturdy and can easily be mounted on a roof or terrace or simply placed against an outside wall. Whisper quiet operation sound pressure level, unlike conventional systems providing greater room temperature stability and comfort with limited noise. 1 x Fujitsu Air conditioning ASYG09LMCA (2.5Kw / 9000Btu) Wall Heat pump Inverter 240V~50hZ. The high density heat exchanger on the indoor unit optimises and enhances the flow/K calories ratio and produces very little noise (21dB@1meter). Because of this design. The turbine fan is able to work at lower revolutions and minimises the noise thanks to its greater diameter. The outdoor unit is made from material are smaller and weigh less whilst increasing their resistor to the outside. Among the many qualities of HSP is the noise reduction as a result of the absorption of vibrations and the incorporation of unique details, such as the protection of the connection valves. The Friendly Society were quoted on various air conditioning systems including split heat pump systems and replacement electric heaters which came in under budget in comparison to the price of the Fujitsu air conditioning heat-pump units but did not offer cooling which the office would need in the summer months. The Fujitsu air conditioning heat-pump systems provided a great value way of heating a office building within a short space of time (30 mins heat up time) and with little cost and reduces CO2 emissions. The Daikin air conditioning systems offer large capacity heating with excellent COP. 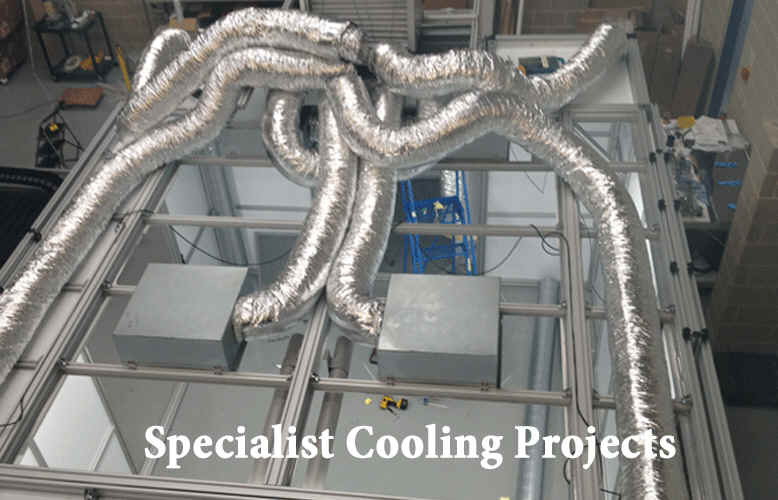 This project required individual heating and cooling for each area and split air conditioning system offer a affordable way of heating and cooling without the need for centralized air conditioning system. Orion air conditioning and refrigeration limited is a United Kingdom based distributor of environmental products including air conditioning, heat pumps, electric space heaters, gas space heaters, oil space heaters, air exchange units, dehumidifiers and refrigeration equipment. Since 2005 we have offered our expertise and quality service backup to clients in the UK and overseas with a team of global distribution experts in house. With a huge range of equipment to offer we supply leading businesses, governments, ​​​the HVAC trade and end users with quality branded product. Air conditioning and refrigeration spare parts from all the manufacturers including fan blades, thermistor probes, compressors, scroll compressor, Inverter compressor, swing compressor, Inverter Pcb, printed circuit boards, air filters, fan motors, thermisters, drain pumps, remote controls, expansion valve, condensor coil, solenoid valve, crankcase heater, electronic thermostat, float switch, magnetic contactor, capacitor, high pressure switch, low pressure switches and PCB's, PWB's.